1. 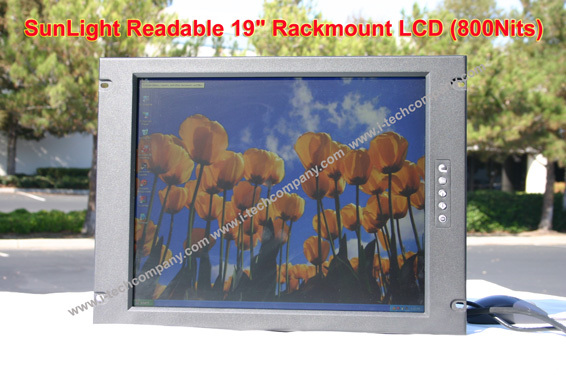 What constitutes a sunlight readable or outdoor readable LCD? 3. What is Contrast Ratio (CR)? 4. What is a Viewing Angle and why does it matter? 5. Do you have inverters for your units? What is dimming range and why is it important? 6. Are there thermal management issues with i-Tech backlights? 7. 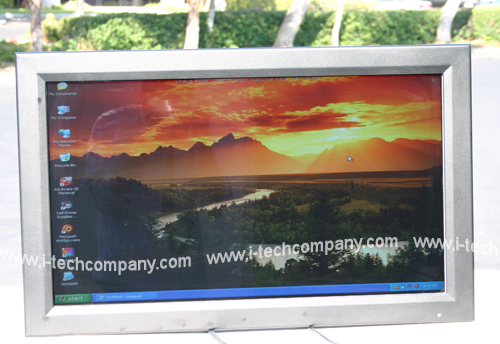 What is the Transflective sunlight readable displays? 8. What is the Optical bonding sunlight readable displays? 10. What is Sunlight Readable High Brightness Active Enhancements? 11. 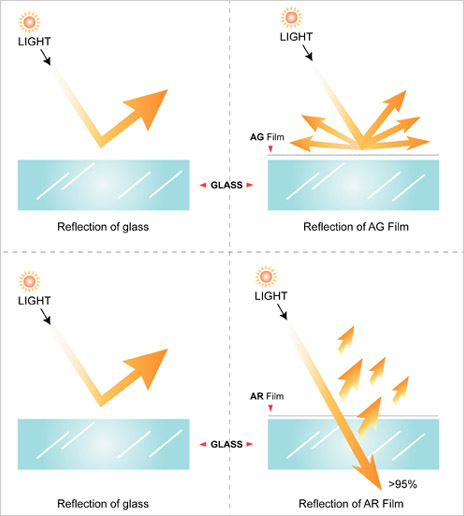 What is Anti-Reflection & Anti-Glare Protection Glass Coating Technology? 12. What is Ruggedization Displays Optically Bonded Technology? 13. What is LCD Clearing Point before goes into IsotropicState? 14. What is front Dimming Knob for controlling Brightness? 15. What is isotropic Stage? 16. What is Auto/Brightness/Light sensor? 17. 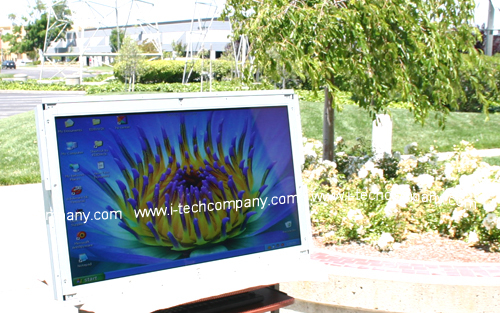 What is Projected Capacity Touchscreen? 19. 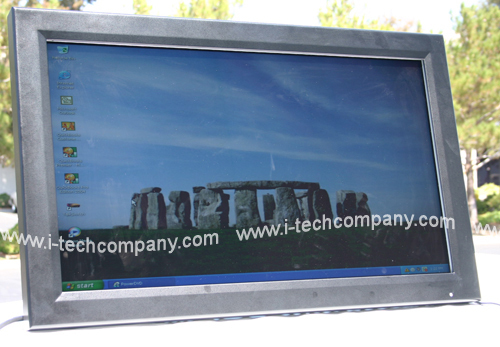 Why extreme high brightness (3000-5000nits) is not also a good solution for outdoor LCD? 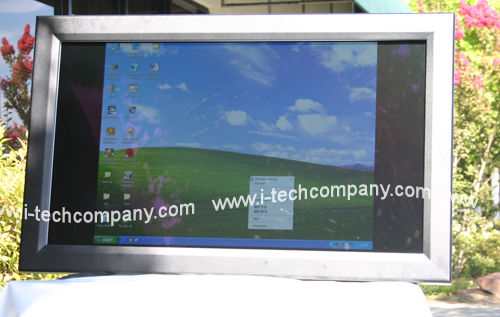 First, the display screen on a sunlight readable/outdoor readable LCD should be bright enough so that the display is visible under strong sunlight. Second, the display contrast ratio must be maintained at 5 to 1 or higher. 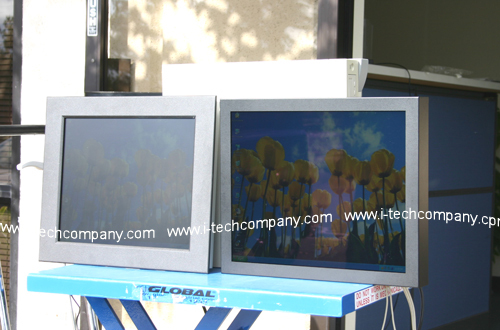 Although a display with less than 500 nits screen brightness and a mere 2 to 1 contrast ratio can be read in outdoor environments, the quality of the display will be extremely poor. 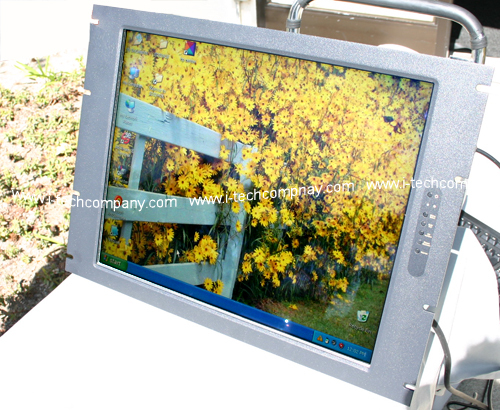 At i-Tech, a truly sunlight readable display is typically considered to be an LCD with 1000 nits or greater screen brightness with a contrast ratio greater than 5 to 1. 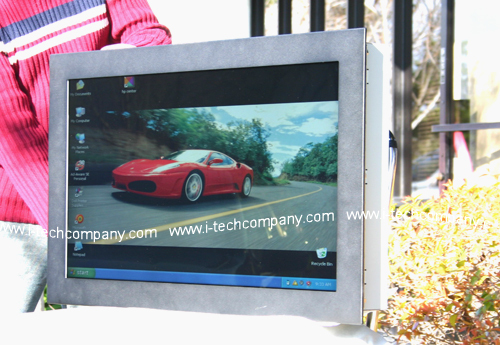 In outdoor environments under the shade, such a display can provide an excellent image quality. Luminance is the scientific term for hotopic Brightness?which specifies the visual brightness of an object. In layman's terminology, it is commonly referred to as brightness? Luminance is specified in candelas per square meter (Cd/m2) or nits. In the US, the British unit Foot-lamberts (fL) is also frequently used. To convert from fL to nits, multiply the number in fL by 3.426 (i.e. 1 fL = 3.426 nits). Luminance is a major determinant of perceived picture quality in an LCD. The importance of luminance is enhanced by the fact that the human mind will react more positively to brightly illuminated scenes and objects. Users are typically more drawn to brighter displays that are more pleasing to the eye and easier to read. In indoor environments, a standard active-matrix LCD with a screen luminance around 250 nits looks good. 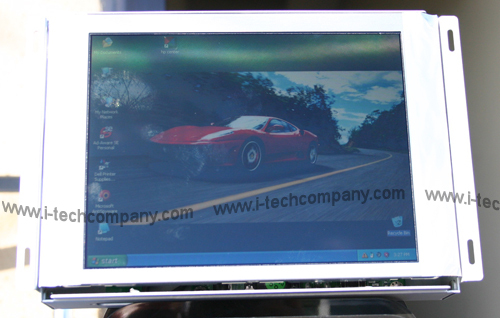 However, a sunlight readable LCD with a screen luminance of 1,000 will look even more beautiful. Contrast ratio (CR) is the ratio of luminance between the brightest white and the darkest black that can be produced on a display. CR is another major determinant of perceived picture quality. If a picture has high CR, you will judge it to be sharper and more crisp than a picture with lower CR. For example, a typical newspaper picture has a CR of about 5 to 7, whereas a high quality magazine picture has a CR that is greater than 15. Therefore, the magazine picture will look better even if the resolution is the same as that of the newspaper picture. A typical AMLCD exhibits a CR between 300 to 700 when measured in a dark room. However, the CR on the same unit measured under ambient illumination is drastically lowered due to surface reflection (glare). For example, a standard 200 nit LCD measured in a dark room has a 300 CR, but will have less than a 2 CR under strong direct sunlight. This is due to the fact that surface glare increases the luminance by over 200 nits both on the white and the black that are produced on the display screen. The result is that the luminance of the white is slightly over 400 nits, and the luminance of the black is over 200 nits. The CR ratio then becomes less than 2 and the picture quality is drastically reduced. 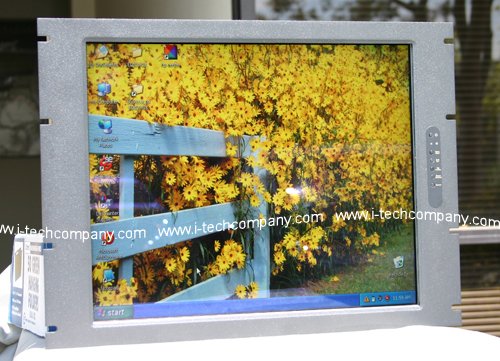 i-Tech sunlight readable LCDs with 1500 nits screen brightness will have a CR over 8 with the same amount of glare under the same strong sunlight, making the picture quality on these units extremely good. For further reading on contrast ratio, please see Tech Note 0101, Page 2, the Display Contrast Ratio. The viewing angle is the angle at which the image quality of an LCD degrades and becomes unacceptable for the intended application. As the observer physically moves to the sides of the LCD, the images on an LCD degrade in three ways. First, the luminance drops. Second, the contrast ratio usually drops off at large angles. Third, the colors may shift. The definition of the viewing angle of an LCD is not absolute as it will depend on your application. 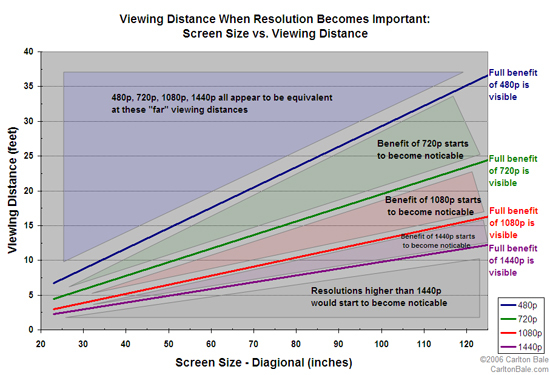 Most LCD manufacturers define viewing angle as the angles where the CR (contrast ratio)^3 10. For LCDs designed for less demanding applications, the viewing angle is sometimes defined as the angles where the CR^3 5. 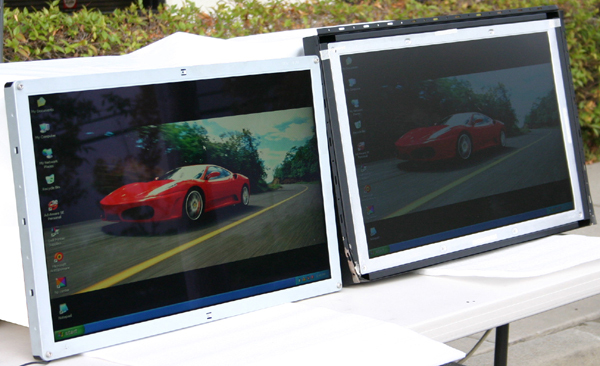 For LCDs used in outdoor applications, defining the viewing angle based on CR alone is not adequate. 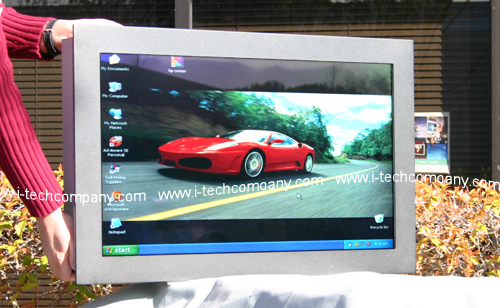 Under very bright ambient light, the display is hardly visible when the screen luminance drops below 200 nits. 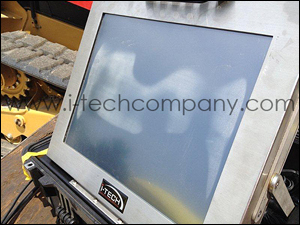 Therefore, i-Tech defines the viewing angles based on both the CR and the Luminance. For further details, please refer to data sheets for specific i-Tech sunlight readable LCD modules. 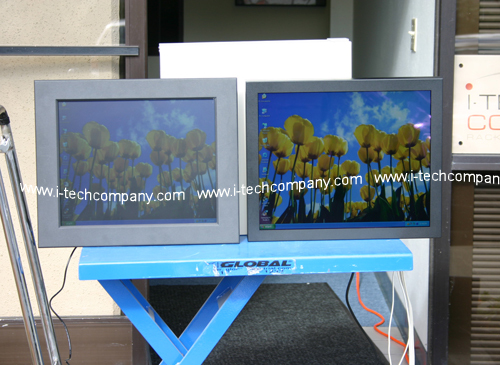 All LCD backlights powered by cold cathode fluorescent lamps (CCFL) require inverters. An inverter is an electronic circuit that transforms a DC voltage to an AC voltage, which drives the CCFLs. 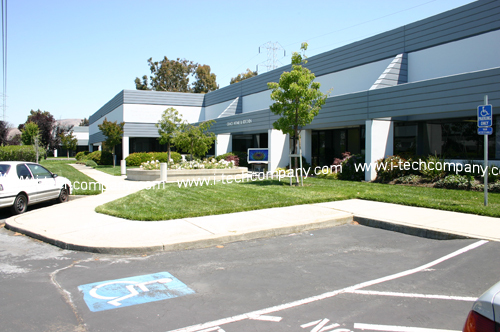 i-Tech Technology manufactures inverters for all its products. Additionally, Applied Concepts and ERG also provide inverters for our products as well. The dimming range or dimming ratio of an inverter specifies its capability of performing backlight luminance adjustment. For inverters used in notebook computers and LCD monitors, the backlight luminance can be adjusted typically over a dimming range of less than 10:1. That is, the luminance is adjusted from 100% down to about 10%. 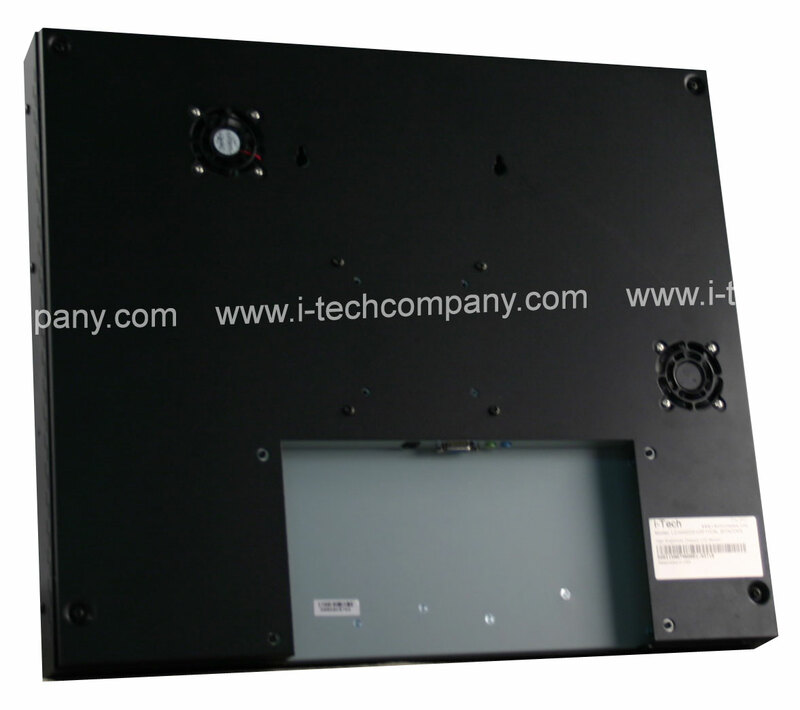 For very high brightness backlights used in i-Tech Technology sunlight readable LCD modules, the inverters must be able to provide a much wider dimming range. Otherwise, the LCD screen will be too bright during nighttime conditions. Therefore, our inverters provide a typical dimming ratio of 200:1, meaning that the luminance can be adjusted from 100% down to 0.5%. Dimming capabilities are beneficial because lowering the backlight luminance will result in a lengthening of the backlight life. It also lowers the power consumption and the related thermal management issues. 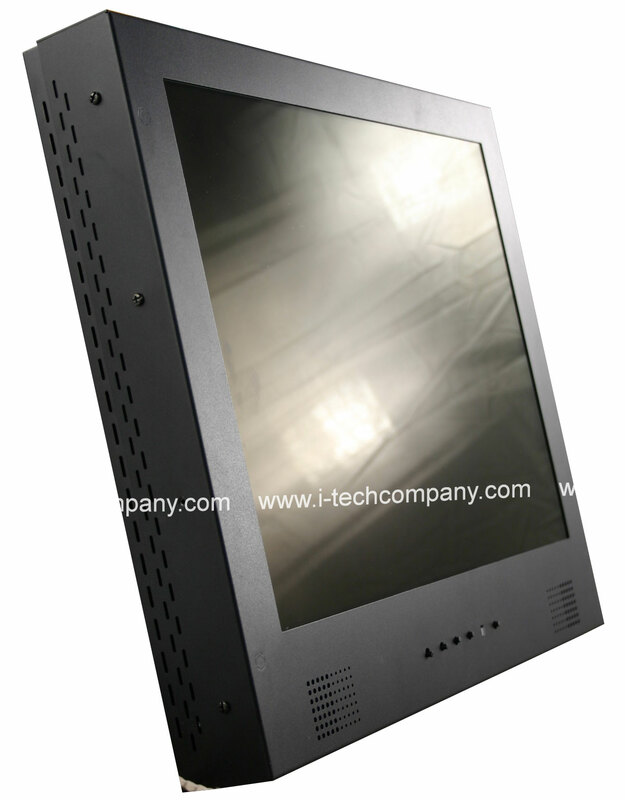 Any high brightness backlight system will consume a significant amount of power, thereby increasing the LCD temperature. The brighter the backlight, the greater the thermal issue. 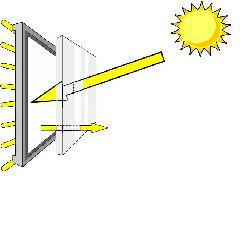 Additionally, if the LCD is used under sunlight, additional heat will be generated as a result of sunlight exposure. Temperature issues can be handled through proper thermal management design. 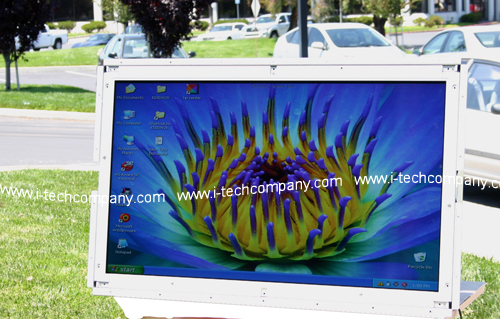 42" Hight Brightness Widescreen Open Frame LCD Monitor, Brightness 750, Contrast Ratio 550:1 and Resolution 1366x768. 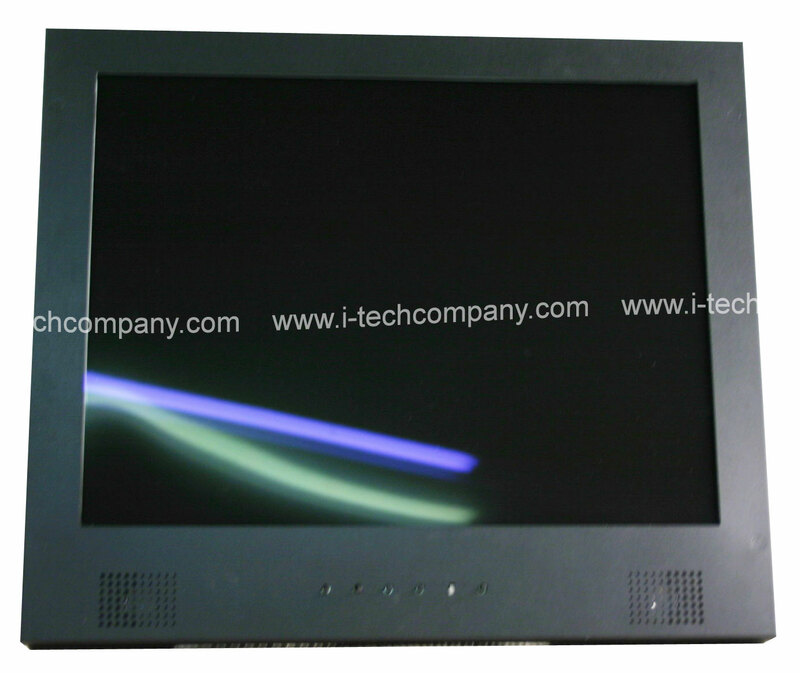 We provide TFT LCD with reflective mode of illumination without compromising its transmissive illumination. 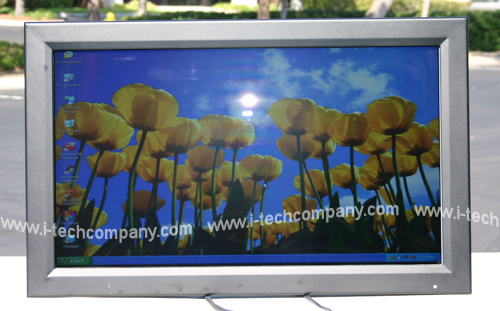 With the imposed reflective function, the modified LCD can reflect the ambient light passing the LCD cell and utilize the reflected light beams as its illumination. The stronger the ambient light is, the brighter the LCD will appear. As a result, the modified LCD is viewable under all lighting conditions including direct sunlight regardless the LCD's original brightness. 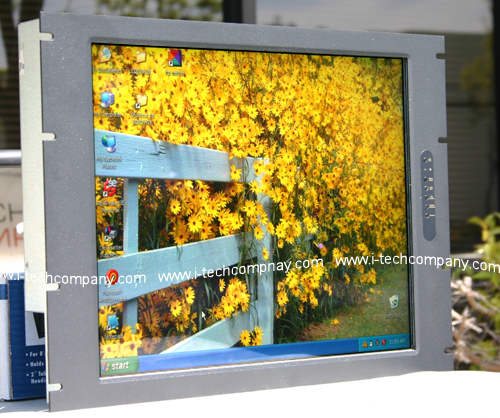 The market demands for outdoor LCD applications are expanding, such as mobile navigator/video systems, PDA, personal organizer, Tablet PC, notebook computer, and Kiosk display etc. 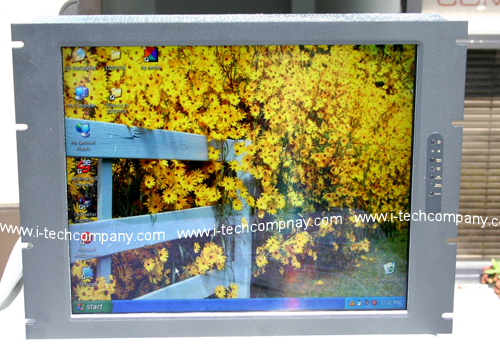 However, a regular transmissive LCD is very difficult to read under strong ambient light. 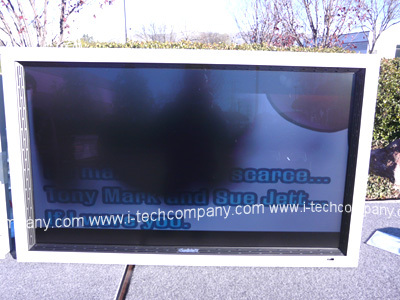 This limits the outdoor applications of a conventional transmissive LCD. 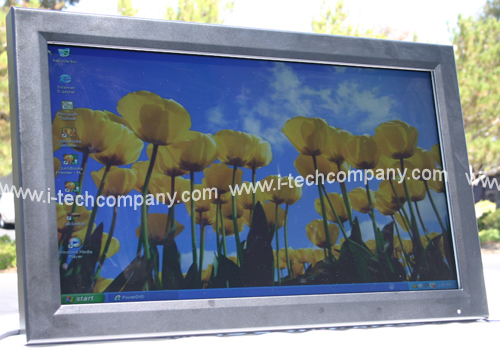 The high bright LCD and the transflective LCD are the solutions generally utilized for outdoor applications. However, both solutions have some shortcomings. Because of the added lamps, high bright LCD creates some undesirable problems, which include high power consumption, excessive heat generation, increased dimensions, electrical circuit alterations, and shortened LCD lifetime. 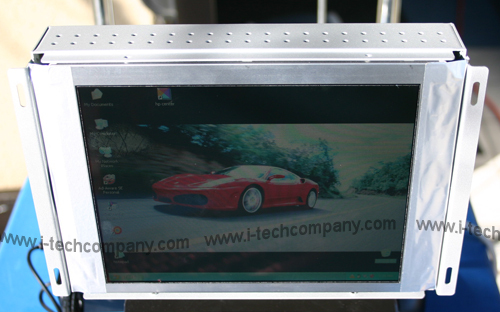 Thus, it is usually troublesome and costly to accommodate a high bright LCD in systems. Though giving good performance under the direct sunlight, the transflective LCD trades of its indoor performances. 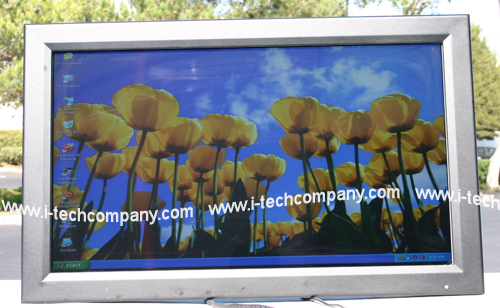 Problems noticed in transflective LCD include narrow viewing angle, discoloration, low brightness, and loss of contrast. 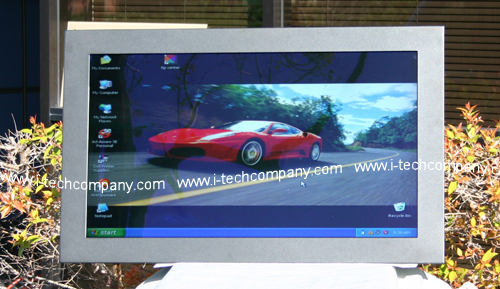 Moreover, the transflective LCD is currently limited in choice of sizes and resolutions. On the other hand, a Transflective LCD is readable everywhere including outdoor environments without extra power consumption and excessive heat generation. The indoor viewing qualities are also enhanced. The modified unit fits right back into its original system with no need of any alteration and extra effort. Thus in your choice of size, resolution, and model, a direct sunlight readable LCD is conveniently incorporated into your device. 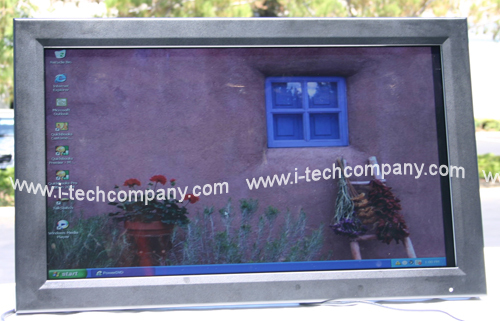 In the world of LCD's, i-Tech takes display enhancement to a new level above all others. Utilizing advanced proprietary optical bonding technology; i-Tech overcomes optical challenges for display product manufacturers at an affordable price. In a wide range of applications, standard liquid crystal appear to "washed out" in high ambient lighting conditions. This wash out is due to excessive reflections and glare caused by bright light. 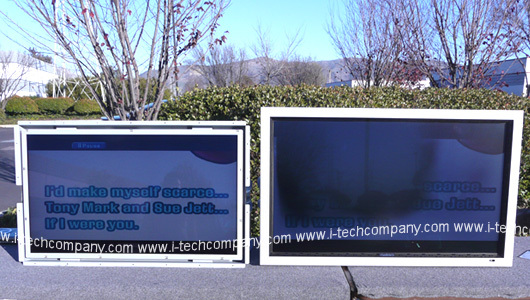 Commercially available LCDs, especially when protected by a separate cover glass or plastic shield, can not deliver enough brightness to make the display functional in outdoors or in other high ambient light applications. The exclusive Optical Bonding process from i-Tech provides a significant reduction of ambient light reflections at an affordable price, compared to other display enhancement technologies. 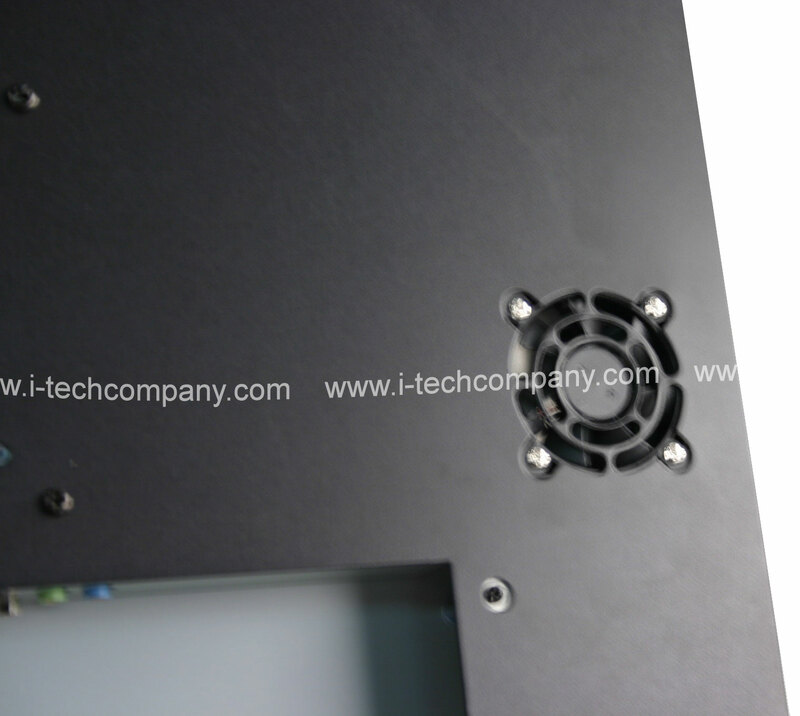 iTech IP65 Front and Full IP66 Chassis are designed for those applications require IP ( Ingress Protection ) feature, like chemical industry, food industry and medical industry. 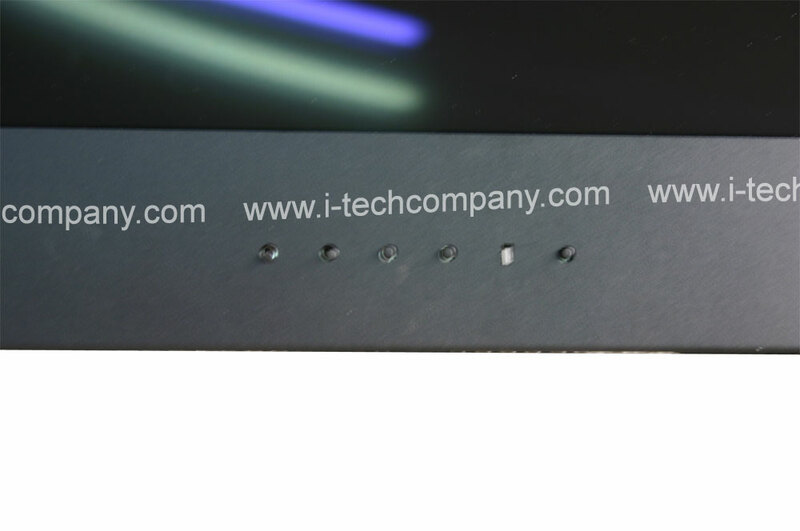 However, the IP65 Front and Full IP66 chassis might get moisture condensation issue for the applications under direct sunlight. Optical bonding is the recommended solution to resolve moisture condensation issue and it also enhance sharpness of the image. Any size, any panel, any brightness ?Below are a few sample configurations equipped with LED backlights to enhance sunlight readability. 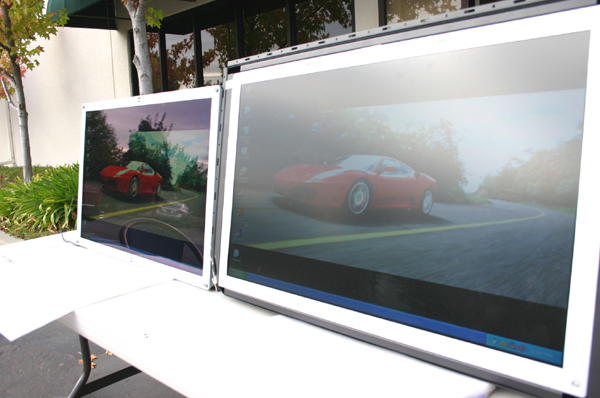 These coating glass solutions we provided are now available for full range displays from 6.4? to 37? by customized request. 13. What is LCD Clearing Point before goes into Isotropic State? Clearing Point - The temperature at which the liquid crystal fluid changes from a nematic into an isotropic state. In practice, a positive image LCD will turn totally black at this temperature and will therefore be unreadable. Because the clearing point is different for every fluid type, ask for design assistance from your supplier if high temperature operation is critical in your application. Also, for most cases, both TN, HTN and STN utilize the phase known as nematic for display purpose. Within this phase, the liquid crystal has a "rod shape" exists within the solution which has fast response and has excellent electro-optic properties. This phase, however, only exists within a limited temperature range. The higher end of this temperature range is known as clearing point, above which, the liquid crystal lost its birefrigerance properties and cannot bend the light path anymore. 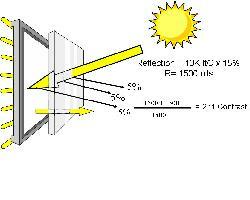 Thus the polarizer will then be the only factor which affect incoming and out coming light. When the LCD is cooled down to below its clearing point, the display should be working again. The temperature for the clearing point varies greatly from material to material and you should contact our engineers regarding what you have. Normally a safe margin should be used to avoid clearing point when designing the display. Isotropic Stage The point where the fluid heats or cools to where it is no longer in the twisted nematic state. Since the molecules can no longer twist light, all incoming light is absorbed. How does this technology works? 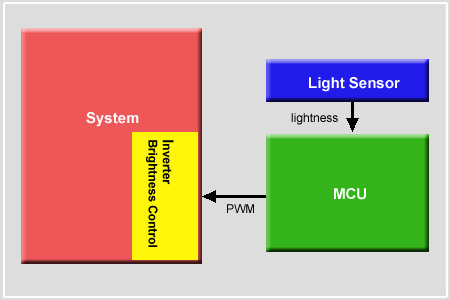 Light sensor detect the change of illumination outside, then it send the signal to MCU via I2C interface. MCU will ask inverter to switch the brightness if the outside illumination was change over the default. MCU will transmit PWM signal to the inverter, amd the inverter will change the brightness of panel. Now I-tech's standard light sensor design has five-steps brightness settings, Lightest, Lighter, Normal, Dark, and Darkest. 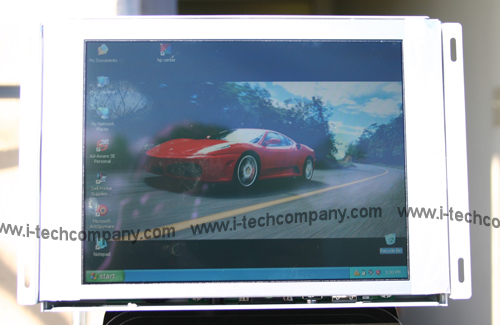 Winmate light sensor technology are now available for 8.4, 10.4,12.1, 15, 17, and 19 LCD with specific panel option. Please contact with sales for more detail information. 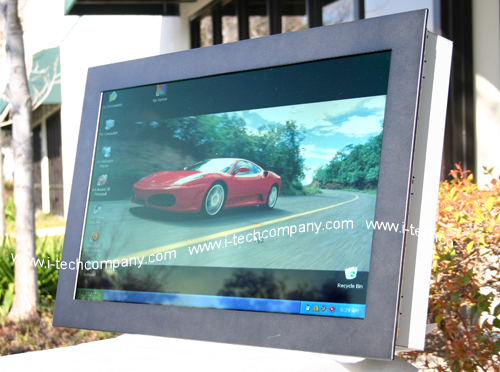 TouchScreen Solutions is a specialist manufacturer of touchscreens, optical filters to enhance the performance of electronic displays, and transparent composites. Touch sensor is based on projected capacitive technology which enables the device to sense through a protective screen in front of the display. The electronic controls effectively divide the screen into pixel sized sensing cells, using microfine wires which are not visible on a powered display. These wires are connected to a controller board, and an oscillation frequency is established for each wire. Touching the glass causes a change in the frequency of the wires at that particular point, the position of which is calculated and identified by the controller. Unlike other capacitive systems where the operator touches the actual conducting surface of the sensing panel, the active component of the sensor can be embedded up to 25mm from the touch surface ensuring long product life and stability. 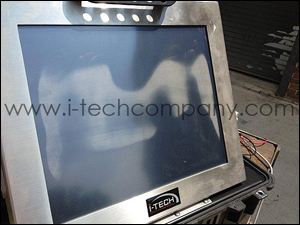 The touchscreen can be supplied with the options of anti¬glare or anti-reflection coatings, thermal toughening or chemical strengthening and privacy or contrast enhancement filters. 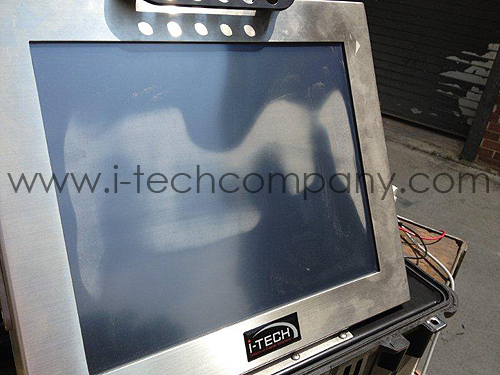 The front glass of the touchscreen acts as a dielectric and enhances the capacitance of the touchscreen. 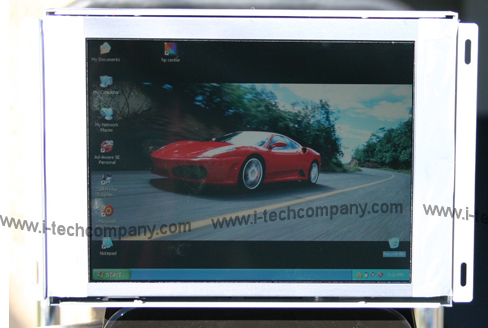 The driver software allows the touchscreen to interface with the host computers operating system by emulating the behaviour of a computer mouse and translates taps on the touchscreen surface into mouse clicks. 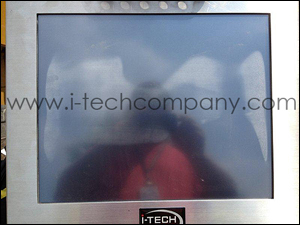 Touchscreen is proven to meet todays demanding requirements for ATMs, web phones, ticket machines, medical displays, industrial displays, pay-at-the-pump gas machines, and interactive kiosk systems. 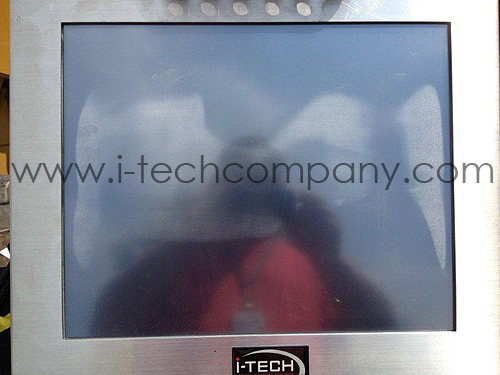 The touchscreen is durable and dependable, its construction protects against damage caused by moisture, heat and even vandalism. 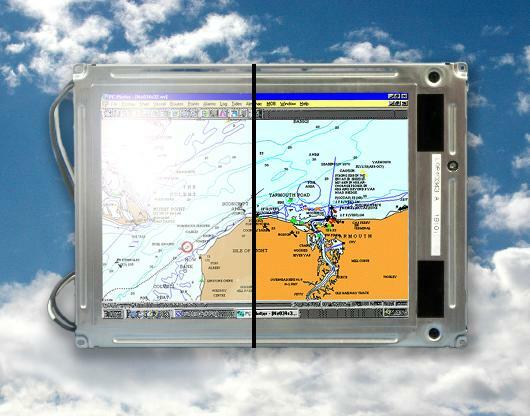 The touchscreen comprises a laminated glass sensor, which encompasses the sensing medium, and the control card which connects to the communications port of the computer. Dynamic capacitance using horizontal and vertical 10 micron diameter wires. 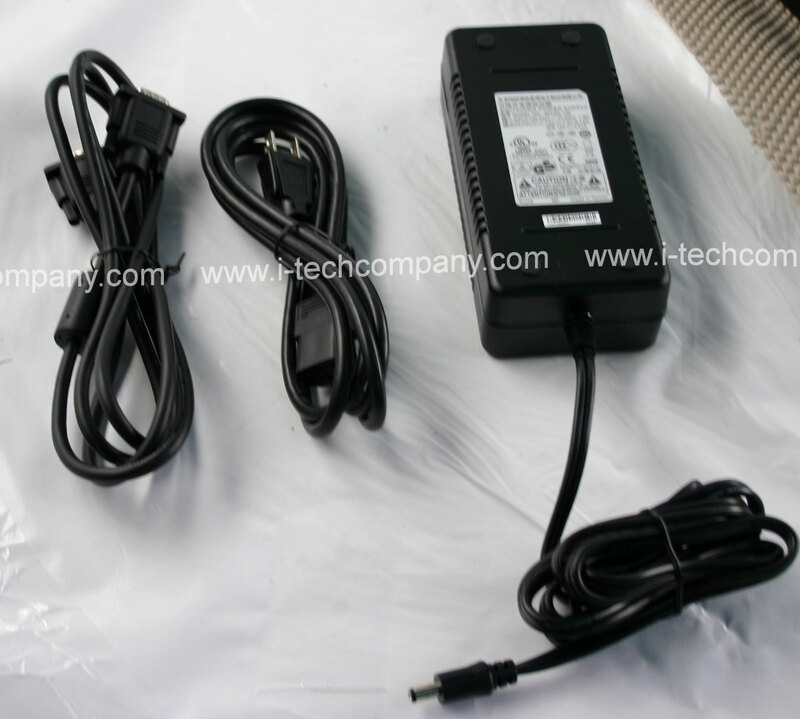 Typically 5mA at 6 to 12 volts which is provided by RS232 port, USB or external source. Female D9 serial connector on a 3 metre long, 3 wire, lead. Maximum length of lead - 10 metres. Power supply components in connection -2 diodes, 1 resistor and 1 capacitor . 0 to 90% RH @ 40 C. Unaffected by condensation. 13msec through 4mm thick glass. Unsurpassed vandal and shock resistance. Less than 1.5% of diagonal error within the recommended viewing area. 88% through standard ZYTOUCH® . Protected by glass - sensing media is not touched by the operator. No moving parts. Use of fixed wires ensures no drift with time. Clear, anti-glare, toughened, high transmission. Excellent, no known wear-out mechanism. Controller will be compliant with CE and UL when installed in system. Ability to be NEMA 12 or NEMA 4 compliant. Simple calibration and set-up with Windows 98, NT, 2000, XP and Linux. Mouse emulation with Select on Touch, Select on Dwell, Select on Release and Drag and Drop. 1. How much power consumption is the extreme high brightness LCD? 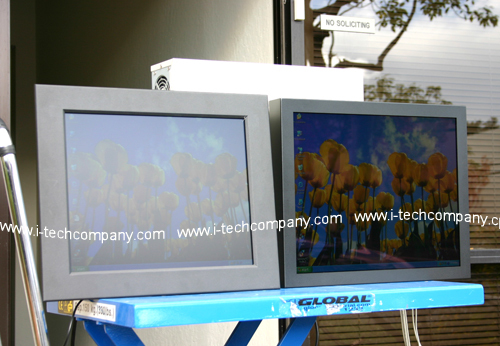 It is very important because all of our outdoor LCD is in completely sealed enclosures keeping it cool is a very huge Challenge. Not mentioned the hot temperature around 40-50C area. 2. Also, you need to determine how far is viewer distance. Because high brightness (3000-5000nits LCD) might Damage eyesight if the viewer is too closed. 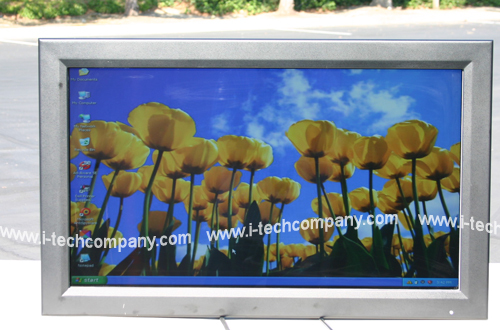 LCD is design with high resolution for people to see it very closely, so extreme high brightness doesn't make sense for outdoor LCD. If they want to put on extreme high brightness LCD on roof top to attract audience which LCD is not even big enough for seeing from far away. Most case customer will use LED which is more reliable and cost effective if it is larger than 82". 3. High chance rejection from city sign official. Many LED billboard brightness can goes up to 5000-7000nits, but the local government agency will not approve this brightness, because it is traffic distraction for driver or other people. So, it doesn't make sense to spend a fortune on extreme high brightness but need to dim it down back to 1000-1500nits. 4. Viewable under sunlight is not just brightness only, it involve contrast ratio, reflection of the front glass and content graphics contrast such as (red and white). Sunlight readable is combination of all above, not just brightness only. 3. 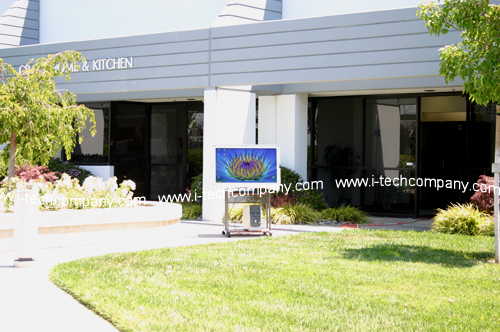 All the major branded LG and Samsung LCD manufacturer the most brightness that they do is only 1000-2000nits because we believe this major LCD maker already done a study on what is the most feasible and comfortable LCD brightness for outdoor. That's why all the high brightness (3000-5000nits) maker is after market vendor without any study about the what is most suitable brightness for different applications, only advertising high brightness is not the solution. 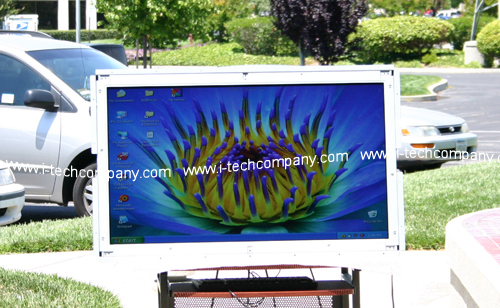 If you ask these vendor for outdoor enclosure which they will not provide or guaranteed it will work because they know it is a huge Challenge to cool down the display. Just like you are buying a 800 horse power car, but you still need to design the car frame and cooler to make this engine run safely on the road, which this extreme high brightness won't help you to design that.